Find out more about our partnerships and why we are so passionate about SEND here. Axcis is proud to offer fantastic training and development opportunities. Our candidates can join a range of courses such as Team Teach, Moving and Handling, Autism Awareness, Behaviour Management, Mental Health Awareness and many more. Find out more today by getting in touch with your local office. Refer-a-friend to Axcis today and earn unlimited shopping vouchers! We are always on the lookout for new teaching and support staff. Earn up to £250* in shopping vouchers for each friend you refer to Axcis – find out more here and start referring your friends and family today! Axcis Andy made a new friend this summer and we are proud to announce that he now has a name! 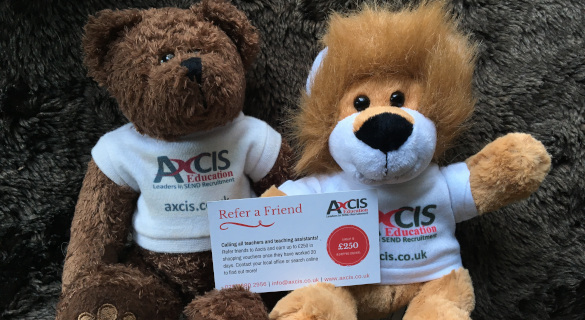 Huge congratulations to Strathmore school for winning our "Name the Lion" competition. 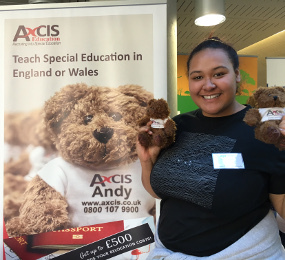 Did you know that Axcis provides lots of useful information and resources for working with special educational needs and disabilities? 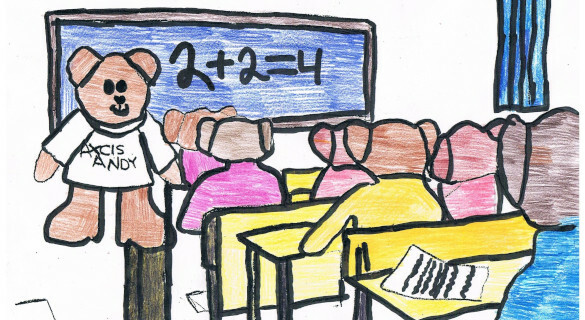 Check out the SEND Resources section of our blog today! Are you a teacher or member of school support staff seeking work? 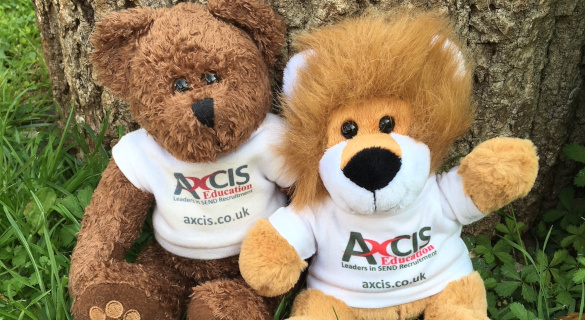 Axcis has vacancies you won’t find anywhere else! Are you seeking special educational needs or disabilities (SEND) teaching or support staff? Send us your SEND vacancy today, and see how we can help you. Read all about our events, updates, activities and industry news and information. 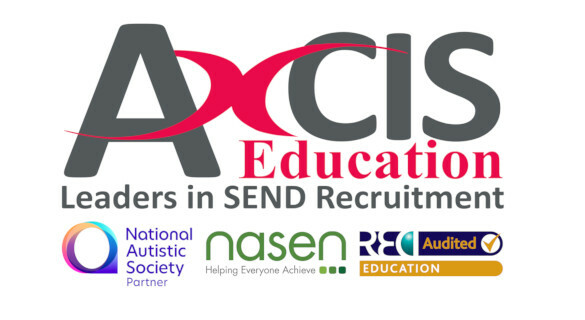 Axcis offers training in Team Teach, Autism Awareness, behaviour management, Makaton & PECS, regular NAS webinars, and induction seminars for teachers and TAs. Please contact your local office for further information. OVERSEAS TEACHER LOOKING TO RELOCATE? Find and follow Axcis using one of the social / professional networking platforms below.